The city of Sydney is by far the largest in Australia. Four million people, nearly one out of every five Australians call the Sydney metropolitan area home. At 4 000 square kilometres, the metropolitan area is one of the largest in the world, nearly twice the size of New York City. Sydney is in the temperate area of Australia. The latitude of Sydney is nearly the same as Los Angeles, Capetown and Buenos Aires and Casablanca, the climate is pleasant year round. Sydney is one of the most multi-cultural cities in the world, with inhabitants speaking nearly 140 languages. Throughout Term 1 2017 the Sydney campus will be organising weekly Pathway to Success workshops for current students. The detailed arrangement for the city tour will be arranged in the early of June 2019. If you have interest, please contact the conference secretary. Here, we just recommend some sightsee to you, not the final arragement. The Hunter Valley contains the Hunter River and its tributaries with highland areas to the north and south. The Hunter Valley is one of the largest river valleys on the NSW coast, and is most commonly known for its wineries and coal industry. There are approximately 80 wineries within the region all offering fine wines and highly informative tours covering everything from grape growing methods, the wine producing process and wine appreciation. But if wine's not your thing, all is not lost - the Hunter Valley region has something for everyone. Hunter Valley farms grow a wide variety of fresh crops and produce throughout the year.Tasty meats, cheeses, olive oils, vegetables, chocolate and fudge are available at multiple outlets and the perfect thing to munch on while visiting or to take home as gifts. Join a Hunter Valley food tour, and really experience the Hunter. One of the most unique Hunter Valley wine tours is the Two Fat Blokes Gourmet Tours. Overseas visitors are guaranteed to see kangaroos alongside outstanding small boutique wineries during these specialised full- and half-day tours. All Two Fat Blokes Gourmet Tours begin and end with personal pickups and drop offs. Visitors who prefer Sydney hotels can take advantage of the luxury mini-coaches from Wine Country Tours, which transport passengers from Sydney to the Hunter Valley. These are the only wine tours in Hunter Valley which are led by an authentic winemaker. 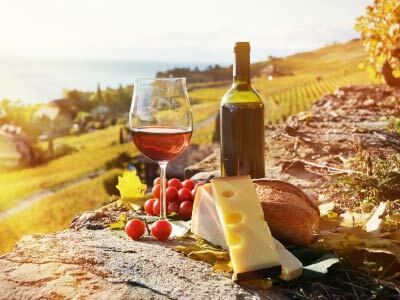 All Wine Country Tours begin with breakfast at Peppers Guesthouse, followed by tastings of wines not available to the general public and lunch at a renowned restaurant. The Central Coast based diVine tours company offers private charter wine tours as well as gourmet tours. Gourmet tours last all day and include tastings of local cheese and chocolate in addition to visits to four or five different wine cellars. The diVine Wine Tour, held only once per season, includes a champagne breakfast and two-course gourmet lunch. 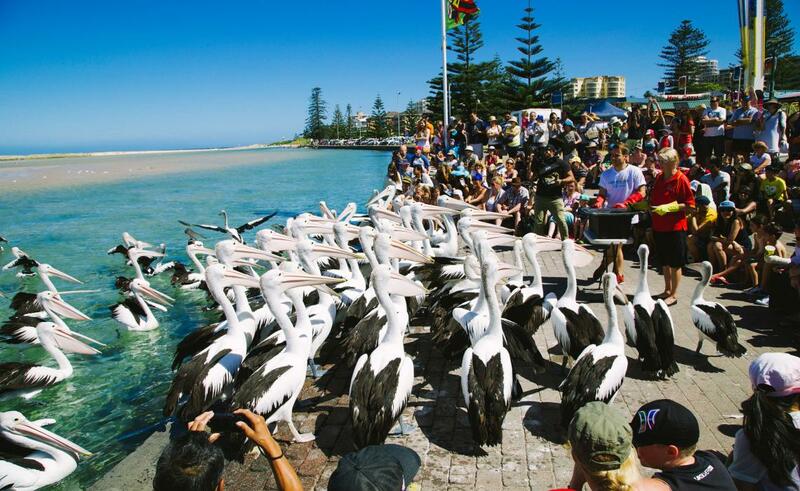 The Pelican Feed takes place on The Entrance waterfront each day and is one of the Central Coast's most popular tourist attractions, entertaining and educating visitors and residents alike about the area's own pelican colony. It was all started over 20 years ago by staff at the local fish shop, who would feed scraps to the pelicans every day. Then in 1996, Council built the feeding platform known as Pelican Plaza. They, in conjunction with the many sponsors and a wonderful team of volunteers, have made it possible to feed the pelicans whole fresh fish 365 days a year and make it the spectacle it is today. The Pelican Feed is proudly sponsored by Central Coast Council, Diggers at The Entrance, Star 104.5, The Lakes Hotel and Jimbo's Quality Seafoods.